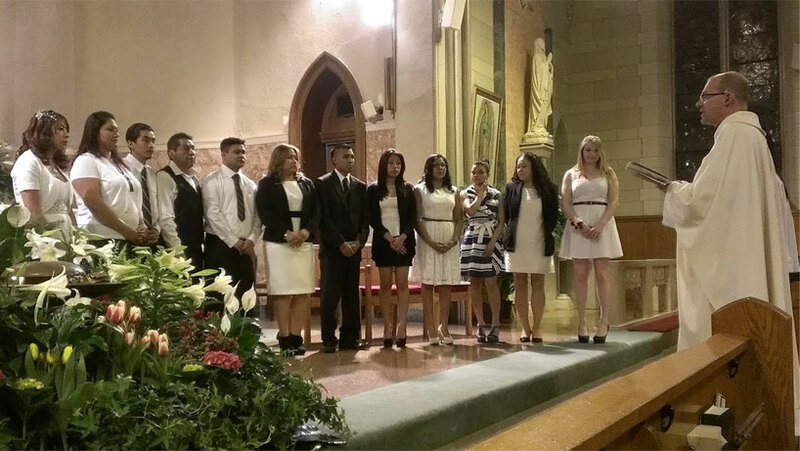 Rite of Christian Initiation of Adults (RCIA) is the program in which interested adults and teenagers older than 16 years are provided the knowledge and community experience they require to receive missing sacraments or to be welcomed into the Catholic faith. Annually, the program begins in the mid-fall, several weeks before Advent, culminates with candidates and catechumens receiving their sacraments during the Easter Vigil, and concludes with a celebratory phase during the Easter season. Deacon Nelson Torres leads the RCIA for the parish. For initial inquiry, call Rocio Ramos or Deacon Torres at the Throop Avenue Center. To learn more about the RCIA process visit the United State Conference of Catholic Bishops website. Seasonal Bible Study sessions are presented during the year. Please check the homepage and/or bulletin for regular updates. In conjunction with world events and seasons, Holy Family Parish will often work in coordination with our Eastern Rite partners at St. Sharbel Maronite Parish and Ss. Peter and Paul Byzantine Parish along with the diocesan Catholic Charities Solidarity Team in presenting discussion evenings and spirituality events. There is usually one prayer event per month along these lines. Please check the bulletin and/or homepage for the latest.